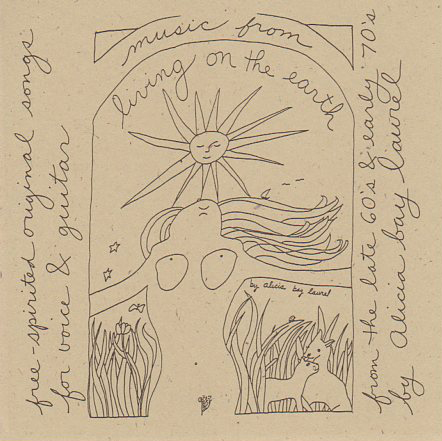 Posted on March 30, 2006 by Alicia Bay Laurel	in Blog. 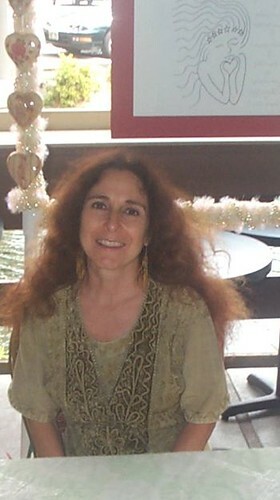 At my booth at the Hilo Bridal Fair in 2003. 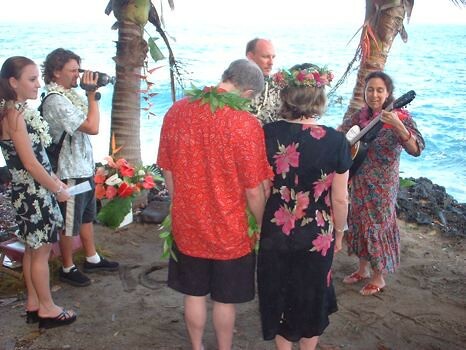 In 1988, on Maui, I opened a home business coordinating custom weddings for tourists. Before I sold the company in 1999, it (that is, a bunch of employees and I) had put together about 3000 of them. Before you award me a medal for courage, I should say that more than half of them involved only a couple, a minister, maybe a photographer, and a beach at sunset. I preside at the wedding of Kevin Schlueter and Sandi Yang. 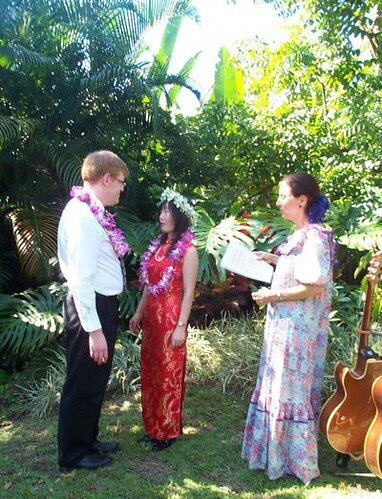 Even after I sold the company and moved to Hawaii Island, I put together another half dozen weddings, which I enjoyed all the more because they were few and far between. Producing twenty or more weddings per month is not exactly a recipe for optimal physical and mental well-being. 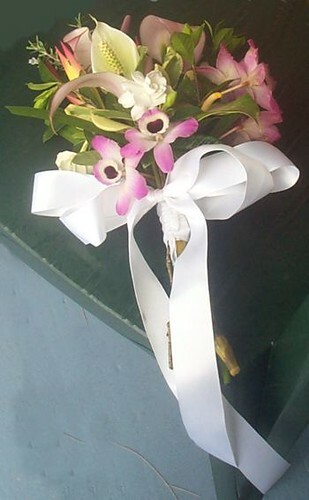 I made this bouquet from flowers growing in my botanical garden near Hilo. The joy that kept me doing it so long was the volume of creative output—I made thousands of bouquets, sang thousands of songs (some to accompany hula dancers), brainstormed with clients to create unique ceremonies, rewrote and redesigned my ads, website and brochures yearly, designed outdoor wedding equipment to withstand the Maui winds, designed the overall look of the more elaborate weddings, and constantly researched new locations, performers, costumes, equipment, floral resources, and ideas to make my weddings fabulous. It worked. When Good Morning America presented a week on weddings in March 1994, they filmed one of our weddings. When Nancy Davis, an editor at Modern Bride magazine, published a coffee table book, she included four exotic weddings we produced. When wedding consumer advocates Alan and Denise Field created a book on destination weddings, they recommended my company. What closed that chapter was my muse. Even though my creative output was prodigious, it wasn’t about my unique voice as an artist, writer and musician. Managing an office full of employees, client files, inventory, office and wedding equipment, communication systems and monetary decisions required over forty hours per week of intensely focussed attention, on top of which the creative wedding projects that gave me joy took another twenty to forty hours per week. I certainly did not want to give up the part of the business that gave me joy. There simply was no time to make another book, song, film, or performance. Sometimes there was hardly time to eat and sleep! 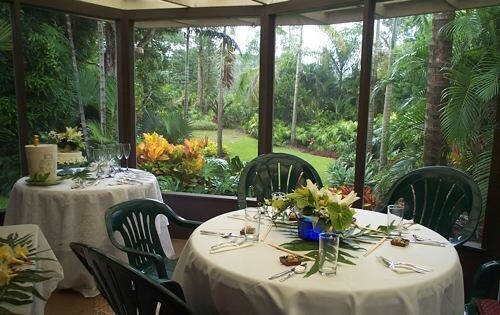 So, when I sold A Wedding Made in Paradise, it was with a profound sense of relief. 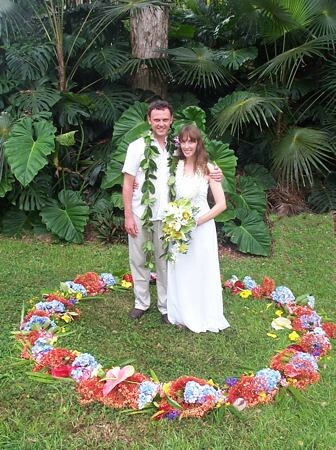 Surrounded by tropical flowers and trees, a couple weds in my garden. Nonetheless, I am looking forward to presiding and singing at the wedding of my website godparents Kim Cooper and Richard Schave in June, and also for Tracy Dove’s daughter Sarah Coppen and her fiance Chris Warmuth at their wedding at Arcosanti.